 Running for public office is very much like marketing your business! Your Political Business Cards define you. Luckily, they’re from Hotcards. First impressions are everything. 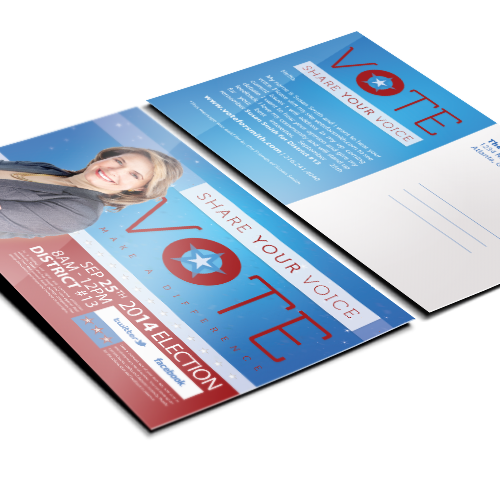 Your political business cards say everything the first time you hand them to potential voters. 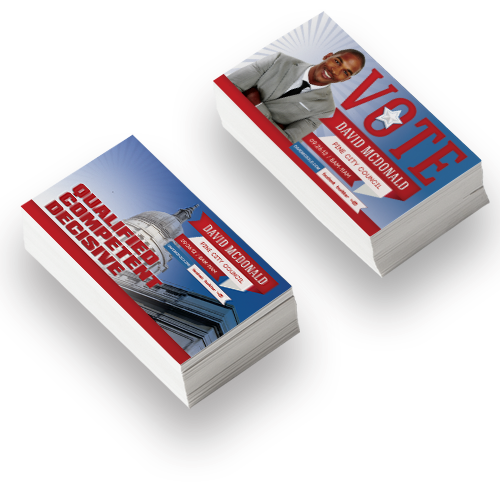 A Hotcards professionally printed political business card design can separate you from the crowd and get the vote. Business Card quality you can feel. 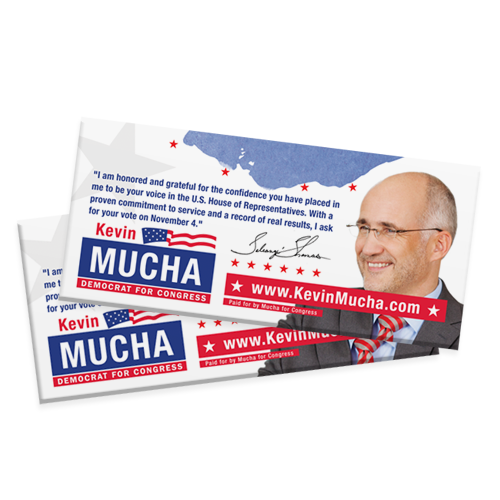 At Hotcards, we only print high quality political business cards. Like, ridiculously gorgeous, stunning, jaw-dropping business cards. 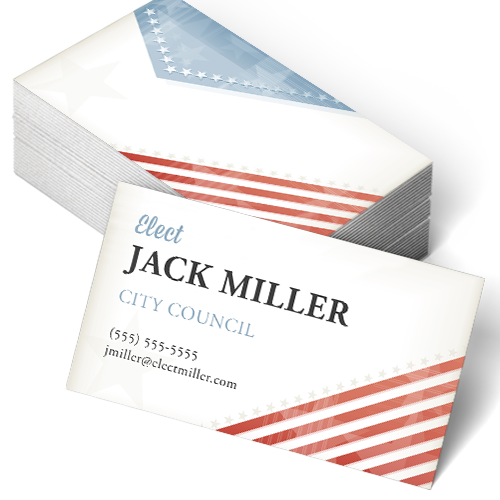 Political business cards that make people say, “Wow, you actually DO mean business. 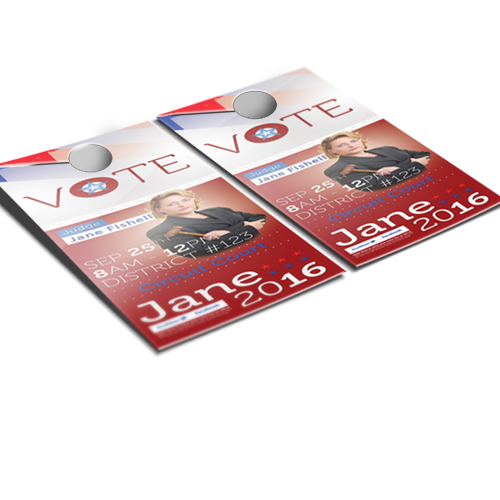 When can I vote?” The quality of your business cards matter. Don’t let anyone try and convince you otherwise.